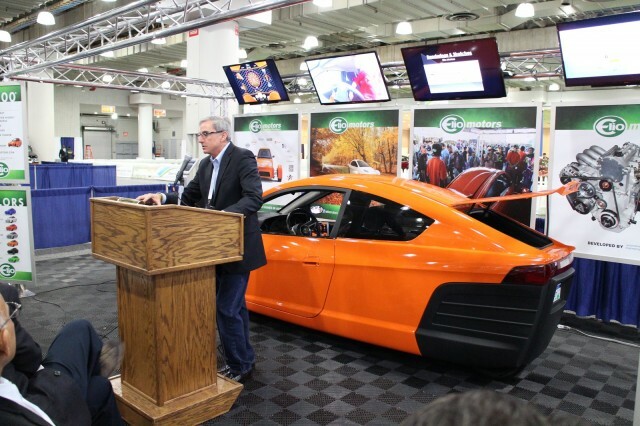 Startup Elio Motors, which needs $230 million to begin production of its radical lightweight, two-seat, three-wheeled fuel-efficient vehicle, is still about $165 million short. CEO Paul Elio, speaking at last week's New York Auto Show, said it has taken more than 41,000 deposits from eager potential buyers. But he also said the company's best financing plan is to obtain a low-interest loan from the U.S. Department of Energy under its soon-to-relaunch Advanced Technology Vehicle Manufacturing program. And the prospects of that happening are highly debatable. Following the press conference, auto journalists and industry analysts debated Elio's chances. While many are eager for successful startups, now that Tesla Motors has beaten long odds and appears to be an operating carmaker, Elio's chances may be less bright. In no particular order, here are the reasons that Paul Elio has bitten off a task that's truly challenging. (1) The DoE's ATVM low-interest loan program became a huge political issue in the 2012 presidential elections, due to the default of Fisker Automotive. While Tesla repaid its loans in full, and Ford and Nissan are paying on time, the loss of more than $100 million on a loan to startup Fisker isn't likely one the department wants to risk again. (2) The last U.S. car company founded from scratch by entrepreneurs whose brand is still with us (discounting Tesla) was Chrysler, and that was in Dec 1924. No one has succeeded since, including Henry J. Kaiser, one of the greatest 20th-century industrialists. Jury's still out on Tesla; it could be the first to succeed in 80+ years. (3) No one has sold a three-wheeler car in any kind of numbers in the U.S. since before World War 2. (4) The low-priced car market is brutally competitive, and in North America, those cars may be used as loss leaders--or at best break even--by most global carmakers. (5) Ultra-high fuel economy saves you very little extra money compared to pretty-good fuel economy because MPG is not the same as consumption (measured in gallons per 100 miles). While it sounds good to go from 33 mpg (in a subcompact) to, say, 65 mpg, you only save 1.5 gallons every 100 miles. 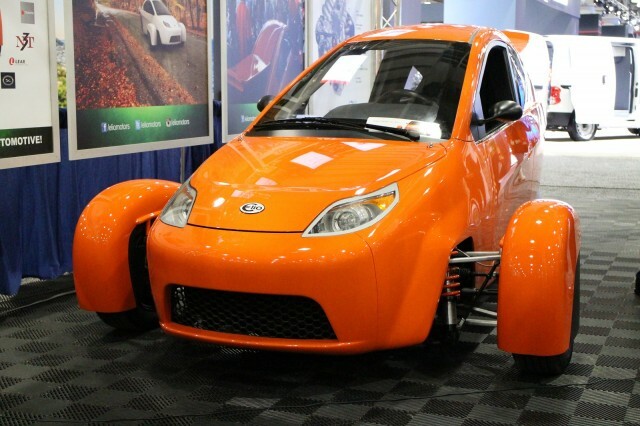 The compromises to do that in a non-electrified car--including two seats and a motorcycle license in Elio's case--will likely turn off much of the potential low-cost buyer crowd. (6) No one has yet driven an Elio on the open road in anything like its production form. The company just produced its first custom-built engine this year. Getting a vehicle into production in no more than a year and a half from that point seems ... aggressive. Especially if Elio is still missing 70 percent of its funding. Hope springs eternal, and clearly the auto market--while hugely challenging--remains alluring to those eager to disrupt the status quo, both innovators and buyers. 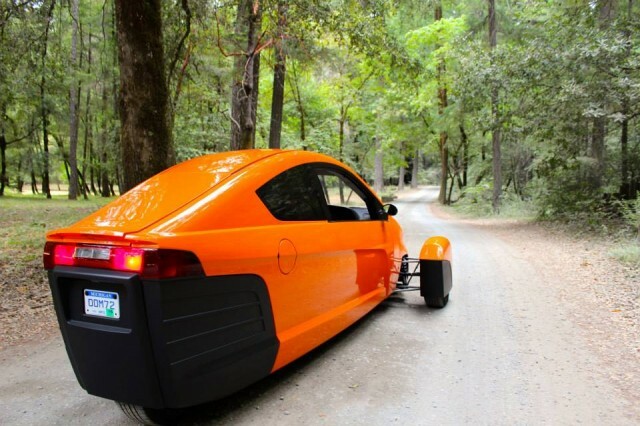 But as one commenter noted, perhaps the Elio should have been a lightweight electric vehicle. Oh, and there's a last reason too. (7) Google "Liz Carmichael" and "Dale" for the last startup car company that proposed an ultra-efficient three-wheeled vehicle.